Rajasthan has a very rich history with unique cultural and artistic traditions. Famous for its rajput kings, architecture, the folk songs , food and traditional dances like ghoomar, Rajasthan attracts tourists from all over the world. I love all things ethnic and Rajasthans Fashion and style particularly fascinates me. The gota Patti work, leheriya dupattas , Bandhini dresses and Mojris all make me go crazy. 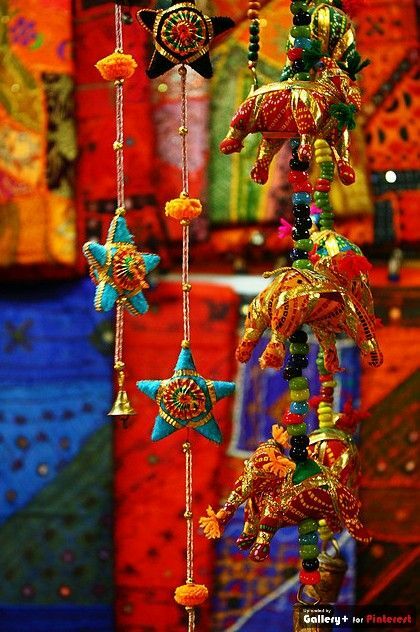 what i love most about rajasthan style is that it is vibrant and colorful mix with intricate detailing. 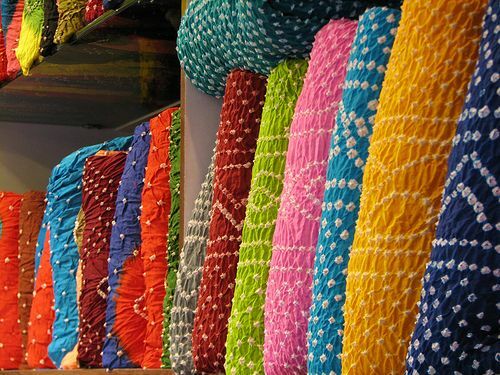 Iam in mood for a lot of colour these days and Rajasthan fuses colour , style and comfort the best. Anita Dongre is one of my favorite designer and the reason is simple , her creations are heavily inspired from Rajasthan culture, heritage and traditions. 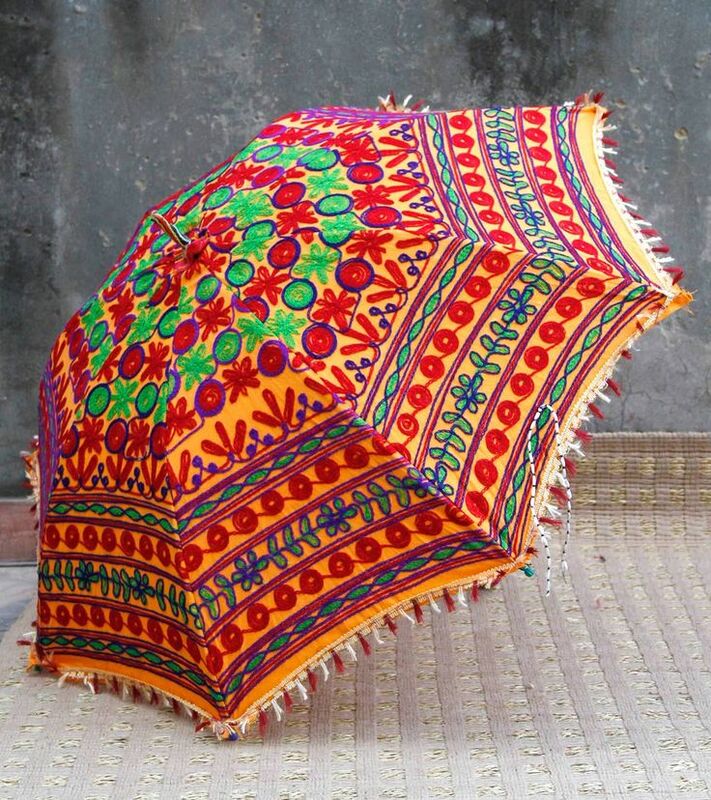 Hi street ethnic brand Rain and Rainbow also has some amazing elements from rajasthan incorporated in its creations. If i had an umbrellas so fun and colorful i would flaunt it in all seasons, no jokes there. I love this . Make for amazing photo back drops and will be amazing mehendi decor. I have abut 4 bandhini dupattas and still cant get enough of this tie and dye art. I love them and i have to include them in this list. 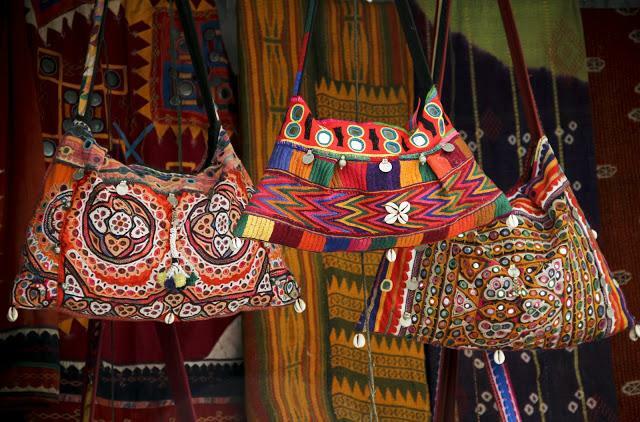 These colourful embroidered jholas with mirror work are an absolute delight! I love decor from rajasthan . 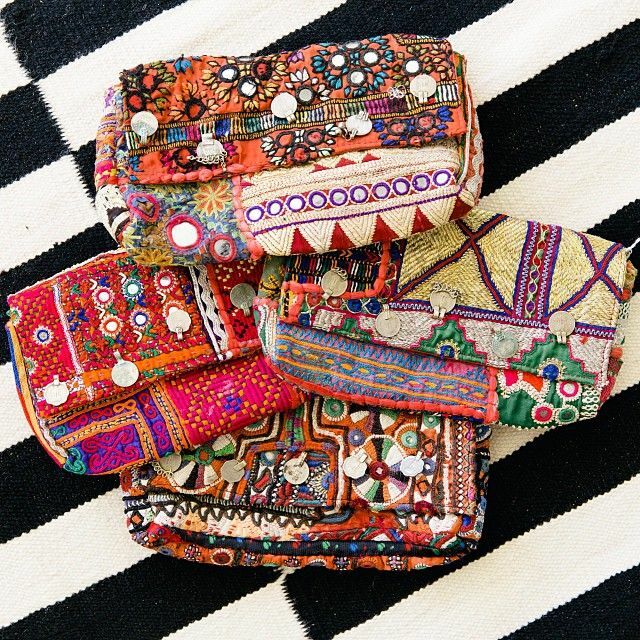 They are full of bright colours and has a lot of elephant motifs and prints. i have some cusion covers but now eyeing these for my drapes. Rajasthani women wear a lot of jewellery , by a lot i mean a really really lot . They use a lot of silver jewlelry and all tehir kadas looks very huge and probably heavy too . But you do know about my love for jhumkas dont you? loving these silver jhumkas , i so want them. 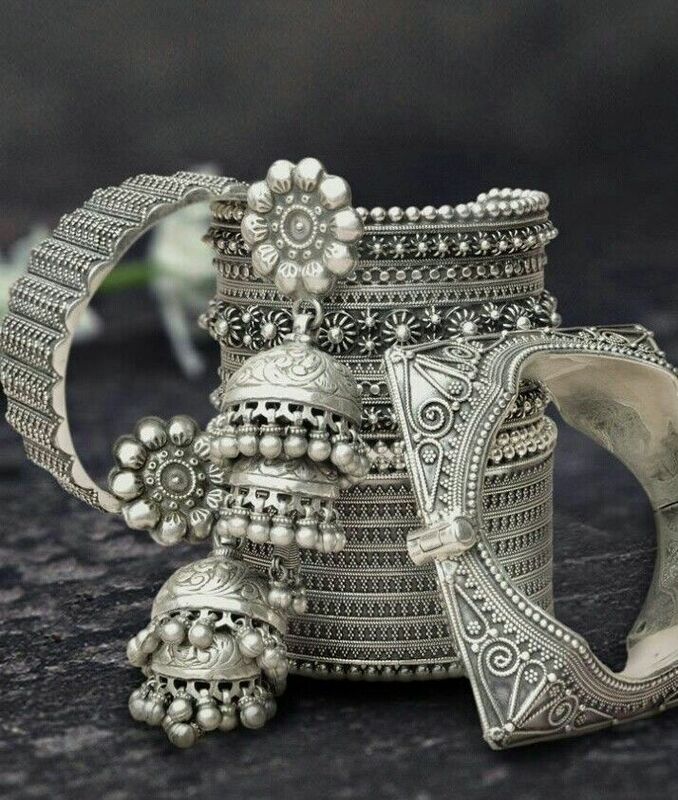 I dont even a single silver jhumkas in my collection! I told you about my love for Anita Dongre already and this is her creation. 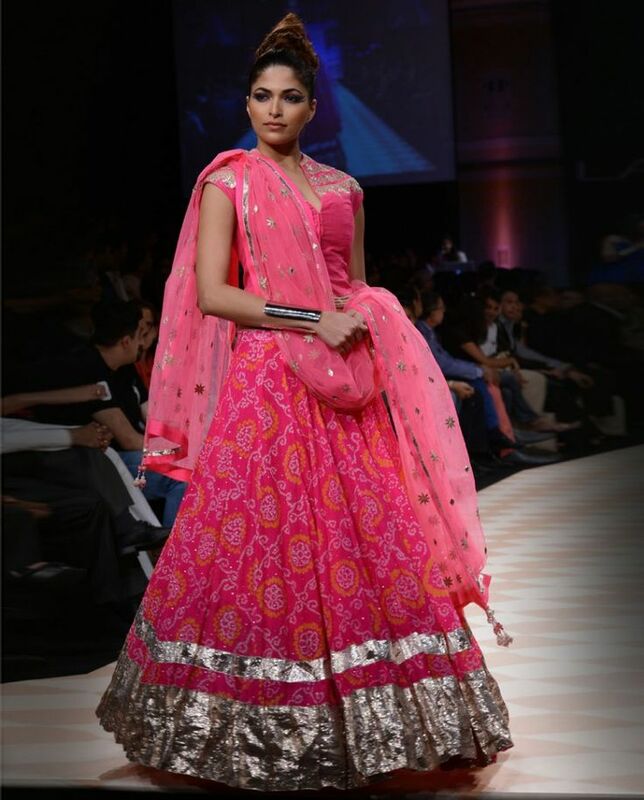 I have a lot of leheriya and bandhini printed outfits for everyday use but this pink bandhini lehenga is sheer awesomeness. Give it to me and i will happily get married in it . 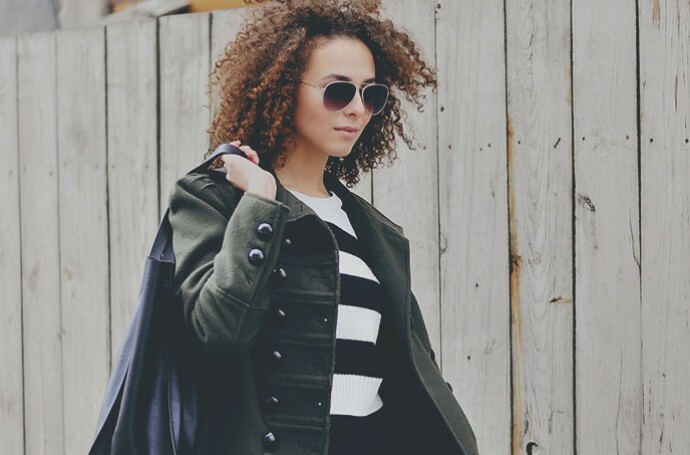 Flowy, comfortable and bright. Into my lust list! 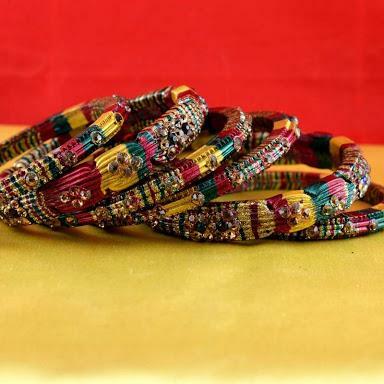 I love bangles and these colourful lac ones are so pretty and will add a dash of colour to any outfit as they will go with almost anything. 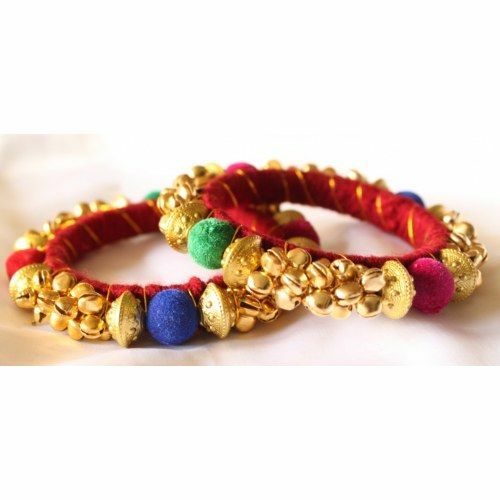 How pretty are these ponchi bracelets with meena and kundan work? It will help u network n increase connections.